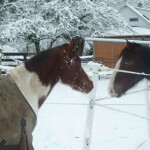 In late October 2011, Miah and her herd mates Shiloh and Khianna, arrived at the SAFE farm. 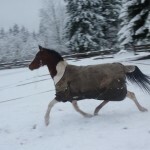 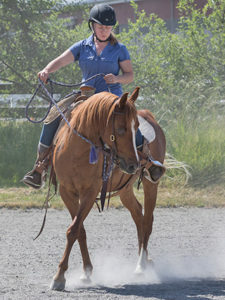 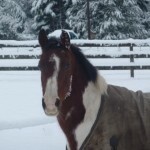 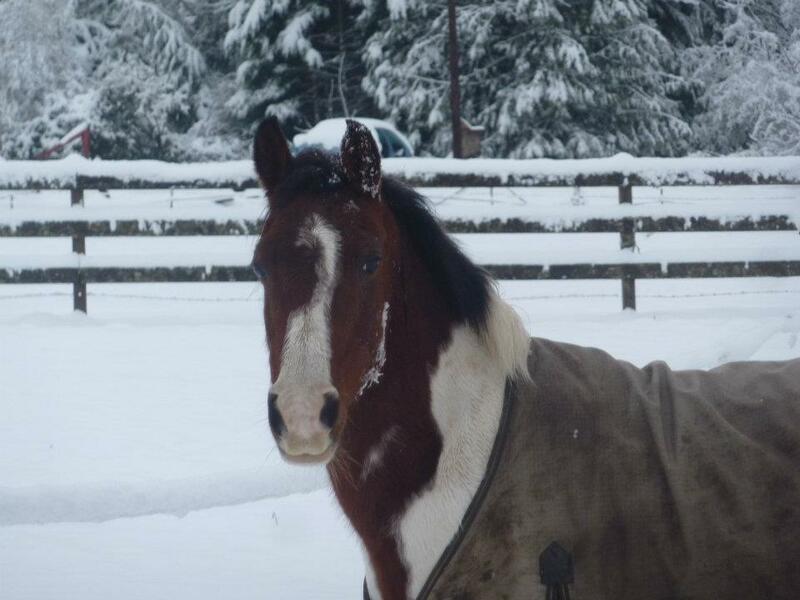 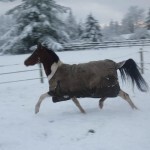 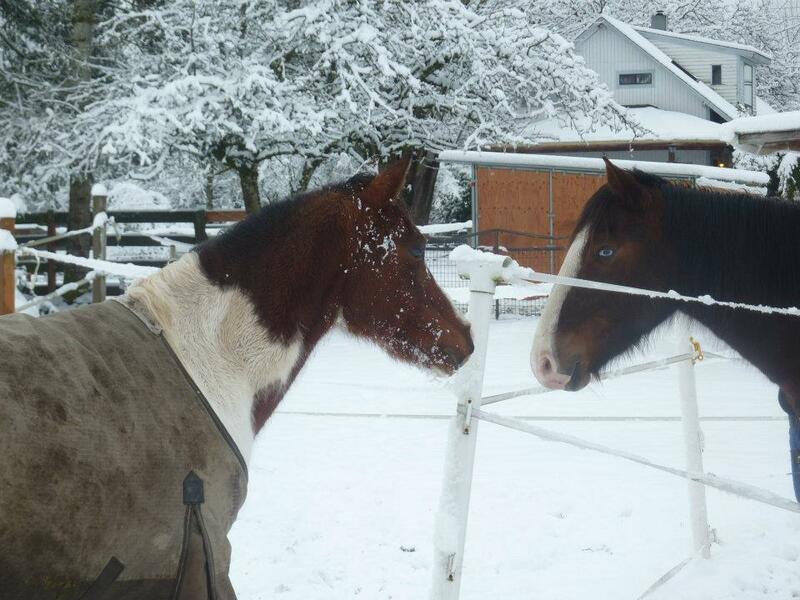 SAFE had tried for several months to place these mares for their owner through our SAFE‐Assisted Placement program but without any luck, mostly because these horses had not received much handling due to their owner’s illness. 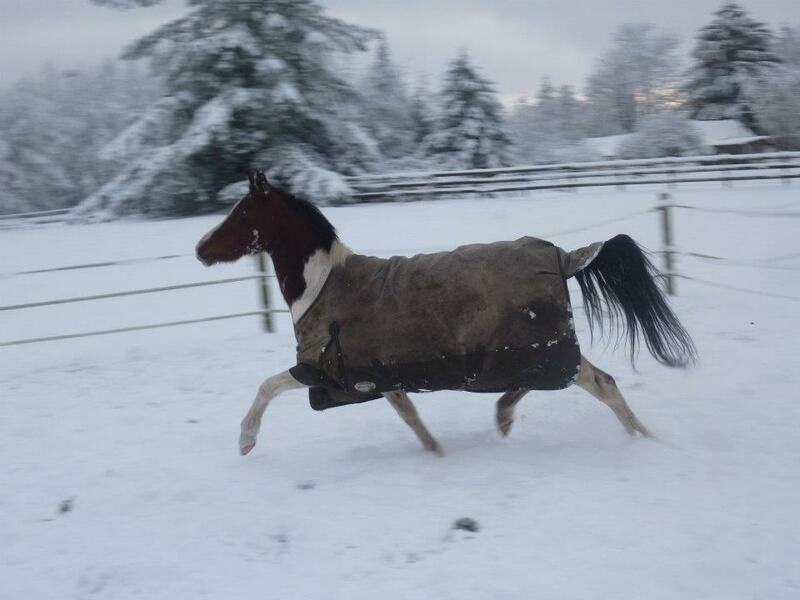 Therefore, once we had space available for them, we sent some brave volunteers down to Castle Rock to pick them up and bring them to Monroe. 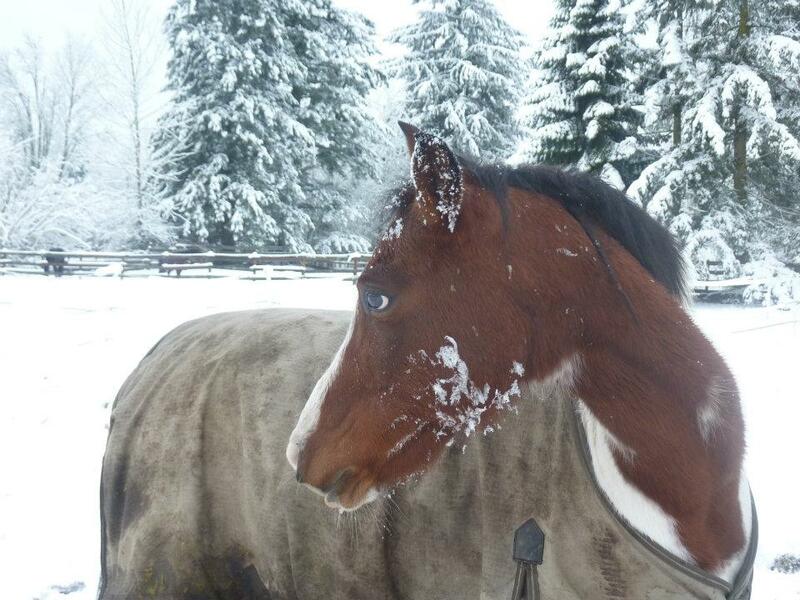 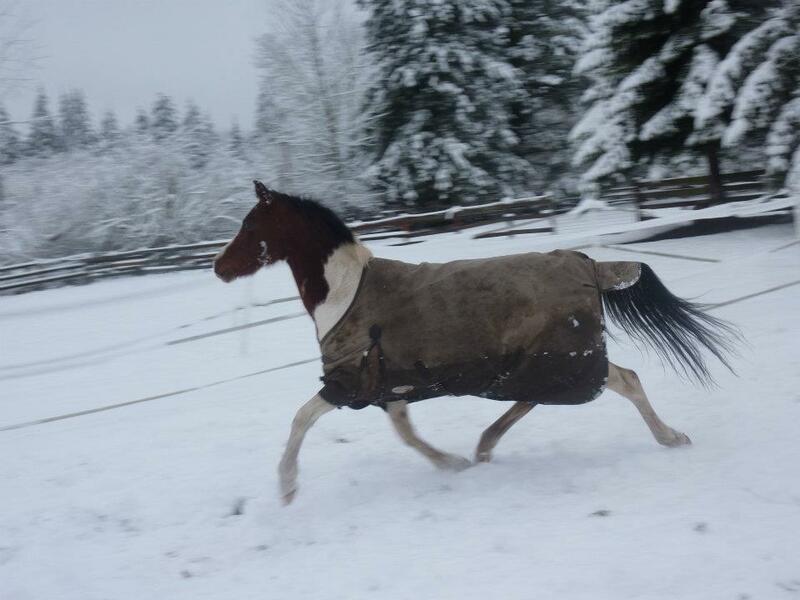 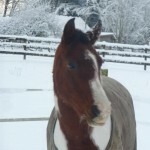 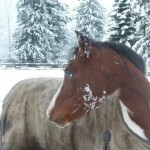 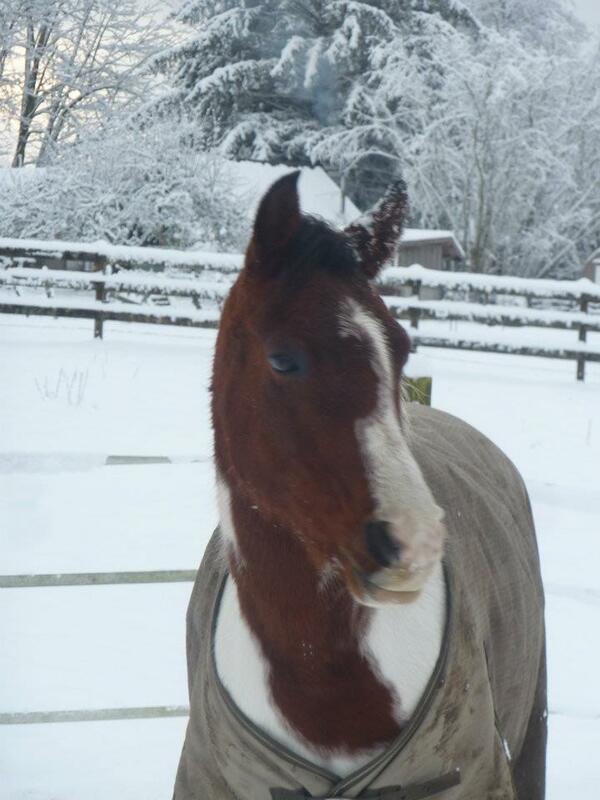 Miah is a skittish mare, who is benefiting greatly from the handling she is now receiving at SAFE. 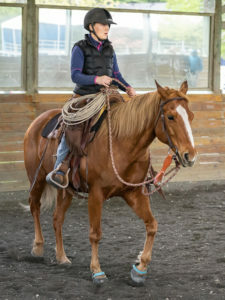 Although she has been ridden in the past, she is very much in need of training to teach her to be a safe, rideable horse. 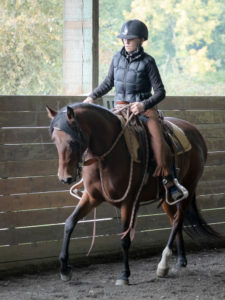 For now, though, we are working to get her more comfortable being handled and teaching her ground manners.